The Roundhouse Podcast revisits Fire Up 2100 with mechanical contractor Jason Sobczynski. Reading 2100 shirts on their way! 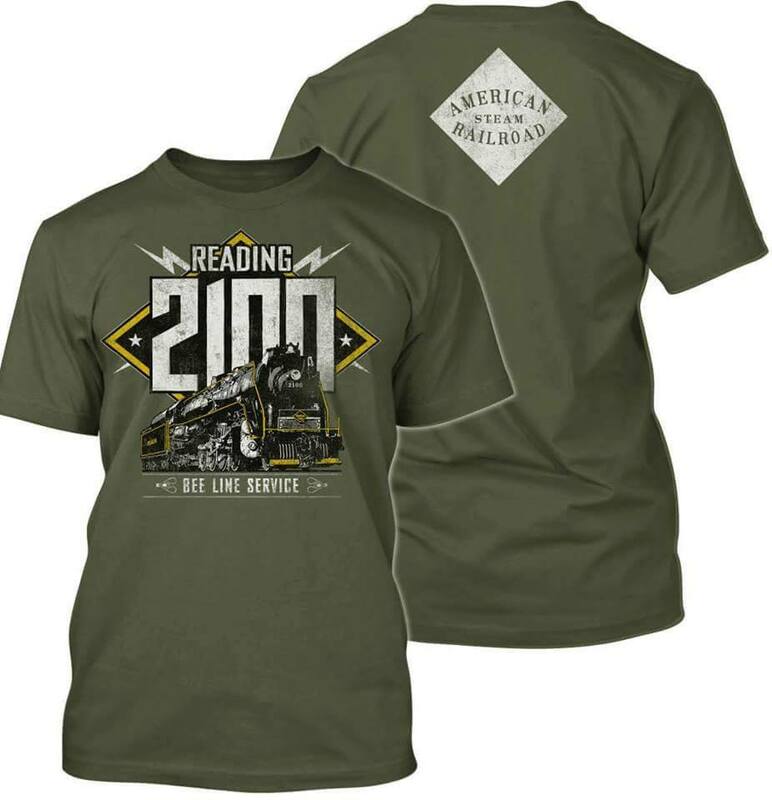 Show your support of the American Steam Railroad with these stylish Reading 2100 shirts! With a style influenced by the Reading Railroad’s late era marketing, these shirts are some of the most attractive railroad wares around. These shirts will be available to order online for $15.00 on November 30th. Email us to let us know if you’re interested in ordering. Following several weeks of work, the American Steam Railroad initial inspection report on the condition of Reading Company steam locomotive No. 2100. The report, compiled by steam locomotive contractors Jason Sobczynski and Zach Hall, includes initial testing and inspection results of the firebox, boiler, running gear, tender and various appliances. The report notes that the overall condition of No. 2100 is extremely satisfactory, warranting further work to restore the locomotive to operating condition. 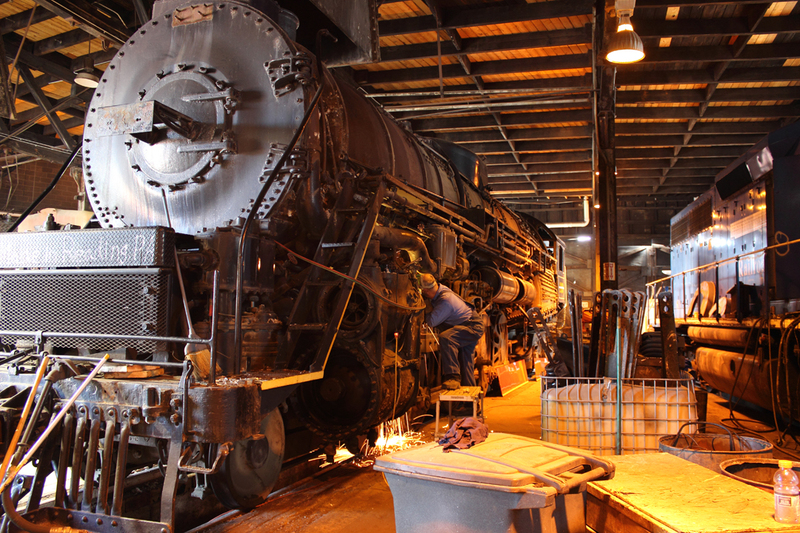 Several hundred visitors to the American Steam Railroad’s Open House on August 15th and 16th were given advance notice of the inspection’s findings and news of upcoming work, including the re-acquisition of No. 2100’s stoker motor and auger in the next 90 days. Removal of all firebrick from firebox. Re-install all washout plugs and otherwise make the boiler capable of holding water. Chemically wash the interior of the boiler to remove all scale. 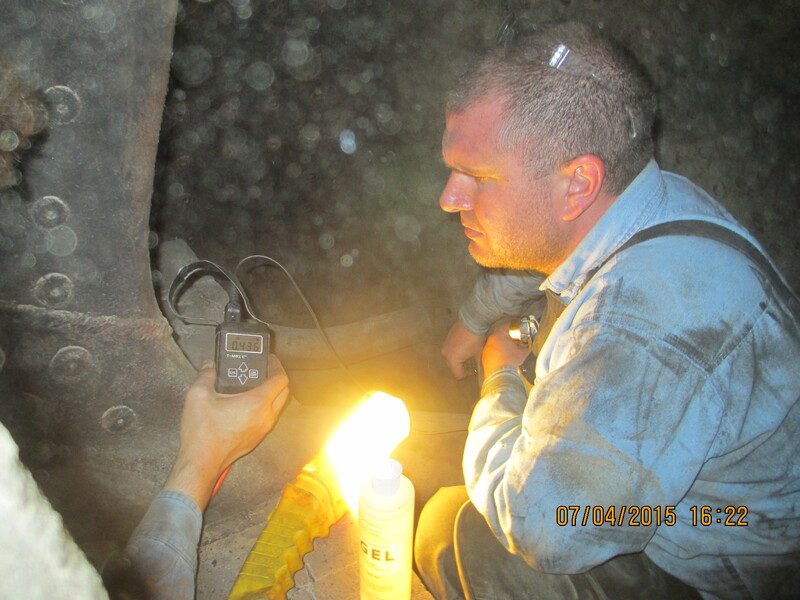 This will permit a more comprehensive visual inspection as well as aiding the discovery of any leaks in the following steps. Hydrotest to full hydro pressure and preform an in-depth inspection for any leaks around the entirety of the pressure vessel. This will of course be followed by an internal inspection to determine the condition of the braces, hammer testing of bolts etc. Steam test to full operating pressure to determine if there are any other leaks which are not visible until such time that there is steam pressure in the boiler. This will also give us an opportunity to test the air pumps, hot water pump, cold water pump and dynamo. The report concludes that an additional $45,000 in work is necessary to finish a comprehensive inspection and create a final scope of work, which will include driver and rod removal, checking of tram, frame, and rods; NDT inspection of crank pins, axles, and piston rods, and the ultrasound survey. 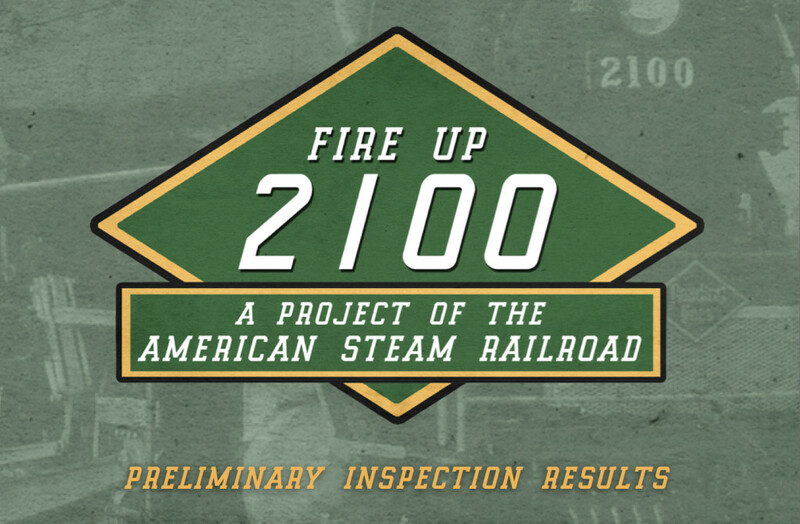 To date, the Fire Up 2100 project has received over $7,000 in donations and interest from corporate sponsors and tourist and regional railroads. “If 3,000 people commit to donating $21.00 a month for 12 months, we can exceed the fundraising goal for 2100 in a year’s time,” said Steven Harvey, President of the American Steam Railroad. 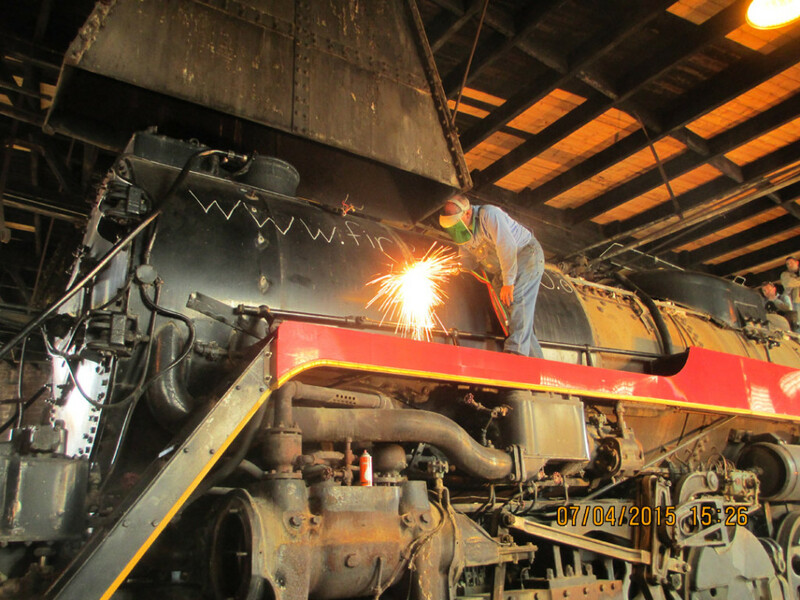 Following last weekend’s first annual open house, the American Steam Railroad Preservation Association is finalizing its inspection report on the mechanical condition of Reading Company No. 2100 and will release it to the public on August 25th.